Published March 24, 2014 at 641 × 480 in Landscapes and Seascapes. 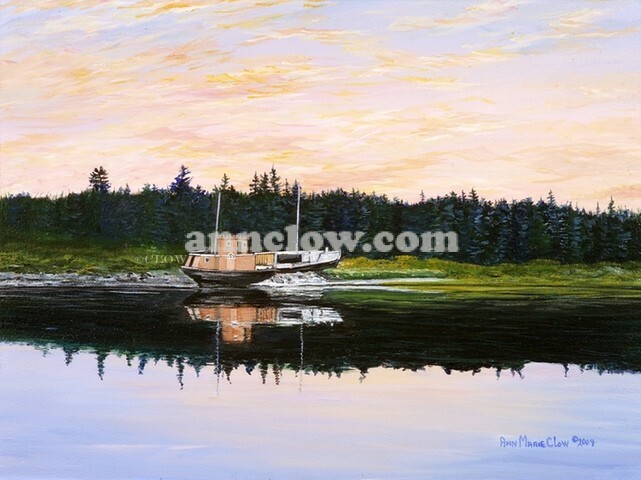 Houseboat 12x16 This boat is located on an island in Yarmouth Harbour. You can't miss it. Some creative people bought a scallop dragger and turned it into a place to live for a short time.